A high-ranking air force general of Venezuelan army on Saturday rejected Nicolas Maduro’s presidency and called his colleagues to join him. Following general’s defection, Venezuelan President Nicolas Maduro proposed a snap congressional election to avoid a power loss. “I come here to you to state that I don’t recognize the dictatorial authority of Nicolás Maduro,” Gen. Francisco Yanez said in a video that has circulated on social media on Saturday. Despite Maduro’s proposal, Juan Guaido’s, the self-declared president of Venezuela, tweet and general’s call were enough to ignite thousands of protesters to fill up the Caracas streets again in shows of support and disdain for their leadership. “Today Feb 2nd, we are going to meet again in the street to show our gratitude to the support that the European Parliament has given us, to continue insisting on the entry of humanitarian aid and to continue our path towards freedom,” tweeted Guaido and called the Venezuelan to hit the streets. As a reply to 35-year-old Guaido’s call, Maduro sought to spark crowds in support of the government. “Our struggle for self-determination has deep roots in the historic independence battles waged by our liberators,” he said. The high-level defection of Gen. Esteban Yanez Rodriguez is the second one that became public after Venezuela’s military attaché in Washington, Colonel José Luis Silva, defected on Saturday and backed Guaido. 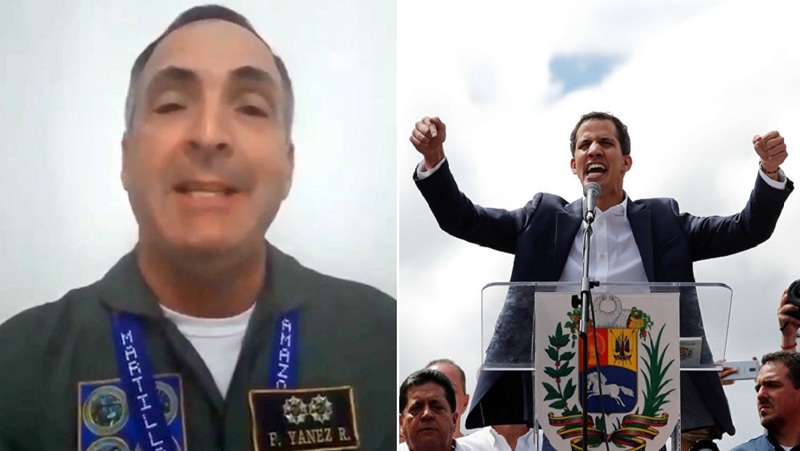 Some Army branches shared photos of Yanez on social media depicting him as “Traitor.” Yanez said he wouldn’t make further declaration until he was not authorized by Guaido. Maduro’s early election proposal move is deemed as an attempt to bolster his position by outmanoeuvring the parliament’s speaker, Juan Guaido, who has proclaimed himself the acting interim president. Chavez’s successor’s already-low popularity dwindles day-by-day, largely due to an unparalleled economic depression Venezuelan people grapple with. Thus the military plays a pivotal role for him to remain on the throne. In an attempt to undermine this support Guaido offered amnesty to the troops who defect from Maduro’s ranks, last Sunday. The US, Canada, Brazil, Argentina, Israel, Australia along with numerous Latin American countries have recognised Guaido as the interim president, while Russia, China, Iran and Turkey maintain their support for the embattled Maduro. The US ramped up pressure on Maduro as it announced sanctions on the country’s state-run oil company PdVSA on Monday. Following the statement of Guaido, John Bolton said on Friday that a US military intervention is not imminent yet the emphasis on the stance of the US government keeping all options on the table.